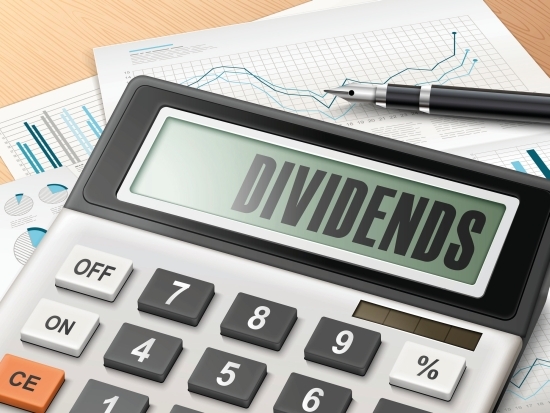 Is this the end of the tax on dividend? The Dutch dividendbelasting (dividend tax) is about to be abolished and the country is up in arms. Prime Minister Mark Rutte called the measure ‘extremely unpleasant’, but the government forges ahead anyway. It turns out a few very big, very Dutch multinationals stand to profit most. The Dutch dividend tax is levied by the state on those payments (dividends) that corporations transfer to their shareholders as a distribution of profit. As in many countries around the world, the tax is collected from the companies directly. Dutch shareholders can deduct these taxes from their overall tax return, but foreign shareholders cannot. Abolishing the tax will cost the Dutch Treasury two billion euros, which according to budgetary rules will need to be balanced by another fiscal measure. The end of the dividend tax was announced on October 10th last year, just after the new Rutte III government presented its coalition agreement, and it was controversial right from the bat. For one, none of the political parties had mentioned abolishing the tax in their manifestos in the run-up to the elections. And though all coalition partners had agreed to the policy decision, pushed by Rutte’s VVD party, it became quite the political firestorm around the country. The opposition called the stealth measure a “gift to multinationals”. The association for small and medium-sized enterprises (MKB) strongly opposes the proposal, fearing its members will have to foot the bill. So why then end the dividend tax? According to the Prime Minister, it would be highly beneficial for the Dutch business climate, attracting more large companies into the country and making Dutch multinational companies more attractive to foreign investors. In fact, the British-Dutch mega corporations Shell and Unilever have been pressuring The Hague for years to abolish the dividend tax. Last month, newspaper Trouw published government documentation showing that large Dutch companies were lobbying the government as early as 2005. Unilever, Phillips, AkzoNobel and Shell tried to get the law abolished ten years ago. Two months after Rutte became prime minister for the first time, in 2010, he spoke with Shell representatives about the business climate and dividend tax. In 2005, the oil and gas giant had reorganized itself from two companies into one, with its headquarters in The Hague. To keep British investors happy, a fiscal safe haven at the British isle of Jersey was set up, exempting the company from paying dividend taxes in Holland. The Dutch Tax Office greenlighted the deal, foregoing a whopping seven billion euro in tax income. When this legal tax dodge came to light in June, Rutte had to explain himself to parliament. Called ‘Big Business’ delivery boy’ by the Socialist Party’s leader Lilian Marijnissen, he had to defend the ‘stinky deal’, done five years before he became Prime Minister. Almost all opposition parties supported a motion of censure against Rutte for withholding information, the political equivalent of a yellow card. For now the government moves forward with the abolition of the tax, with the aim of keeping the big corporations in Holland. When Unilever last year decided to move its headquarters from London to Rotterdam, the tax was cited as one of it considerations. But there is no real evidence that doing away with the tax would attract more large companies to Holland. In recently discovered government memos, civil servants of the ministries of Finance and of Economic Affairs lamented they couldn’t figure out how abolishing the dividend tax would help to attract capital from abroad, citing lack of empirical research. Most outside investors don’t care about the Dutch dividend tax, which at 15% is already lower than in most European countries. Rients Abma, director of the Dutch Association for Institutional Investors, says: “not a single foreign investor told me ending the tax is an issue for them. Not in the run-up to the decision, nor after.” British investors pay higher taxes on buying and selling shares in the UK than they do paying the Dutch dividend tax. And the American Chamber of Commerce in the Netherlands (AmCham) also strongly opposes the measure, calling instead for a reduction in the Dutch corporate tax rate and the preservation of the 30% tax exemption for expats. It’s not a done deal yet. On Prinsjesdag, when the 2019 budget is presented, we will know more.